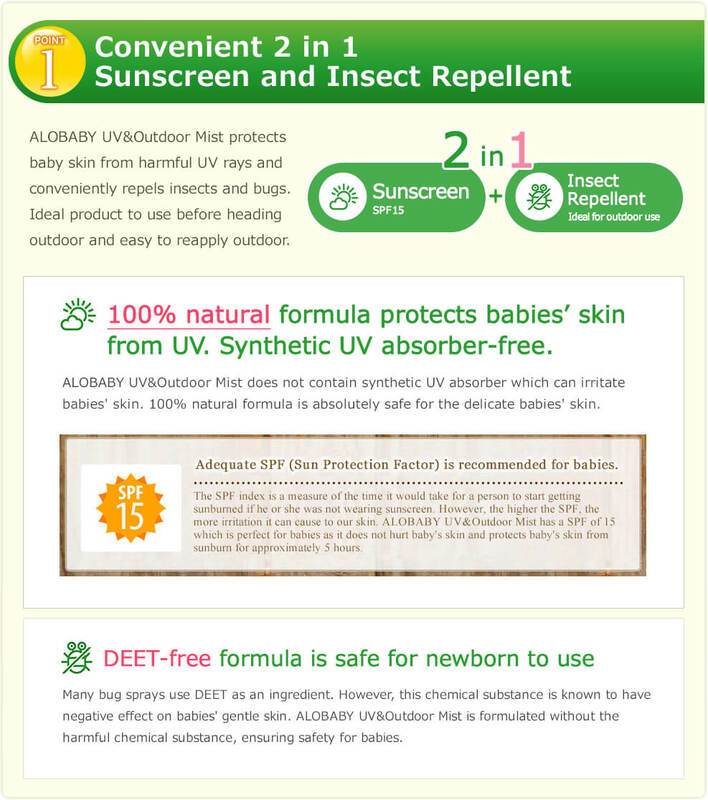 I frequently use ALOBABY's UV & Outdoor Mist on my 10-month-old daughter. 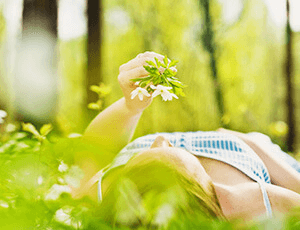 What I love the most about the mist is that it is made from 100% naturally-derived ingredients and is DEET-free. It has protected my baby and I from Singapore's strong UV rays! This mist has also definitely eased my concerns about the ZIKA virus outbreaks. 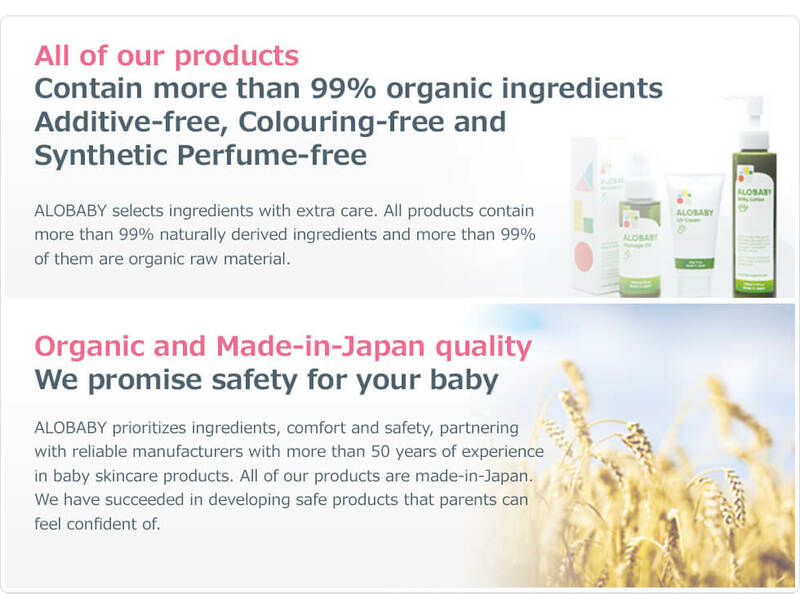 Made-in-Japan , the organic Baby Balm moisturizes the baby’s skin, including cheeks, lips and fingers. Stick shaped baby balm makes it easy to apply and carry with you when going out. 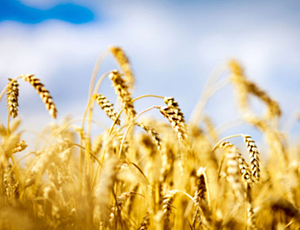 It is made of 100% naturally derived ingredients and contains Beeswax and Lavender Oil. 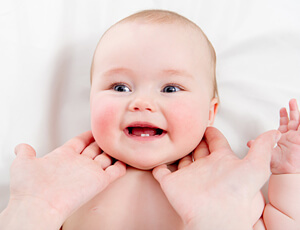 You can moisturize the baby's skin very quickly and easily both indoors and outdoors. Therefore, you can also keep your hands clean. 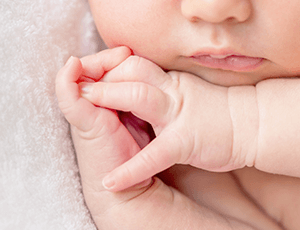 This balm covers very tiny parts of the baby's body like cheeks, lips, and fingers. The size of the balm allows it to be easily portable. 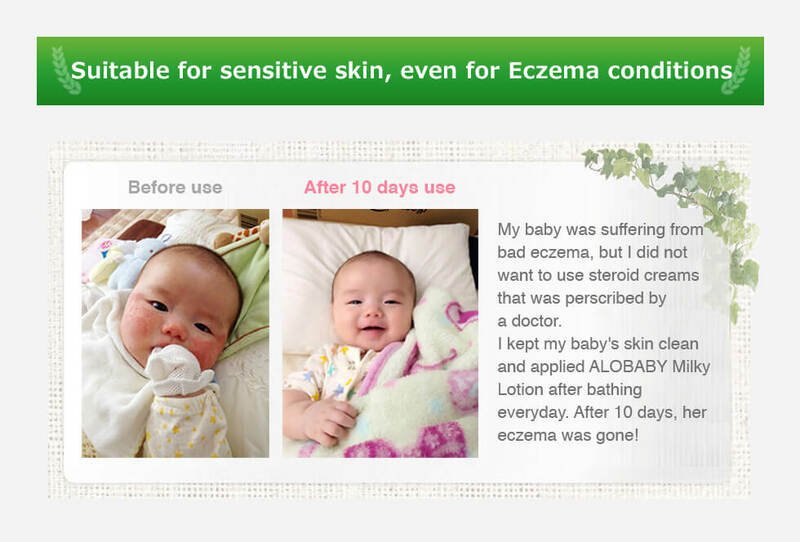 Baby's skin is much more sensitive than our skin. 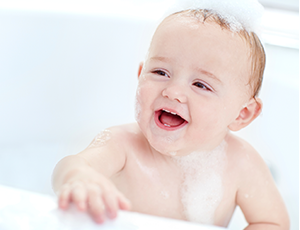 Squalene and yellow beeswax help the baby's skin to be moisturized and soft. The texture is not sticky, so it would not feel uncomfortable. 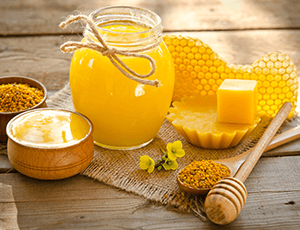 *Beeswax is a natural ingredient which is extracted from hives. Therefore,there is no danger of Clostridium Botulinum. 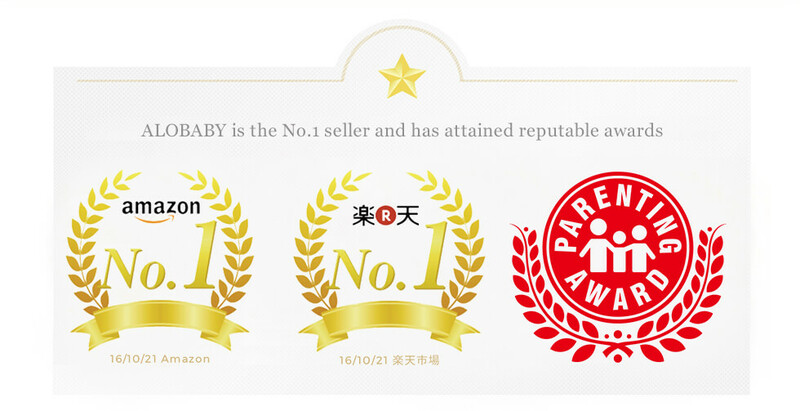 Our product is also anti-bacteria, and hence, very friendly to newborns. 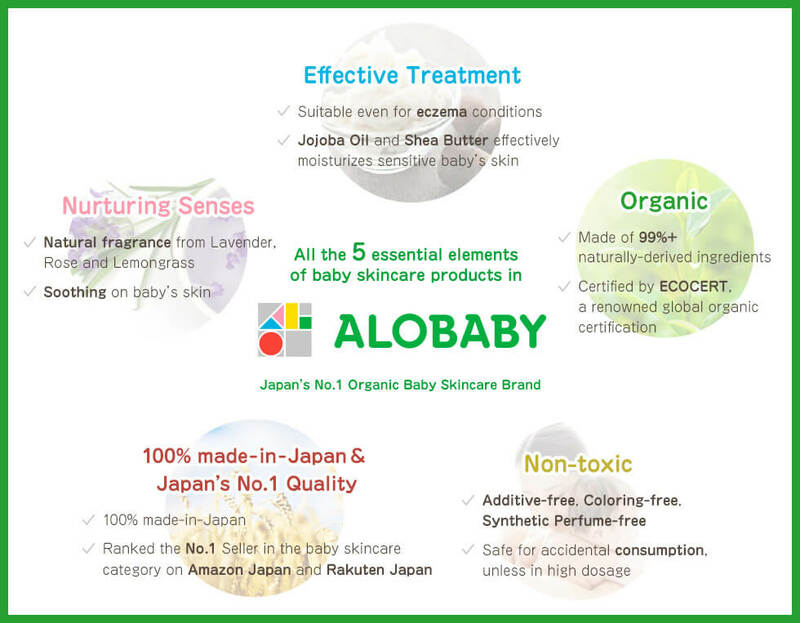 ALOBABY Baby Balm is made from 100% naturally-derived ingredients. 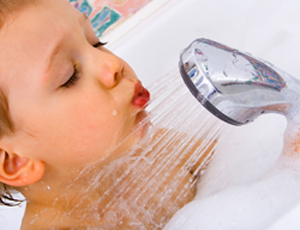 You don't need to be worried when applying on the around the baby's mouth and fingers. It's recommended to both mothers and prenatal mothers as well. It's also perfect for gifts! 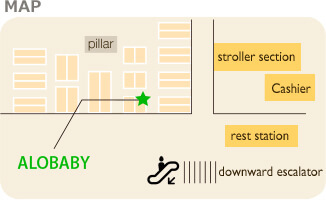 Providing the gentleness felt from ALOBABY "for mom" too. 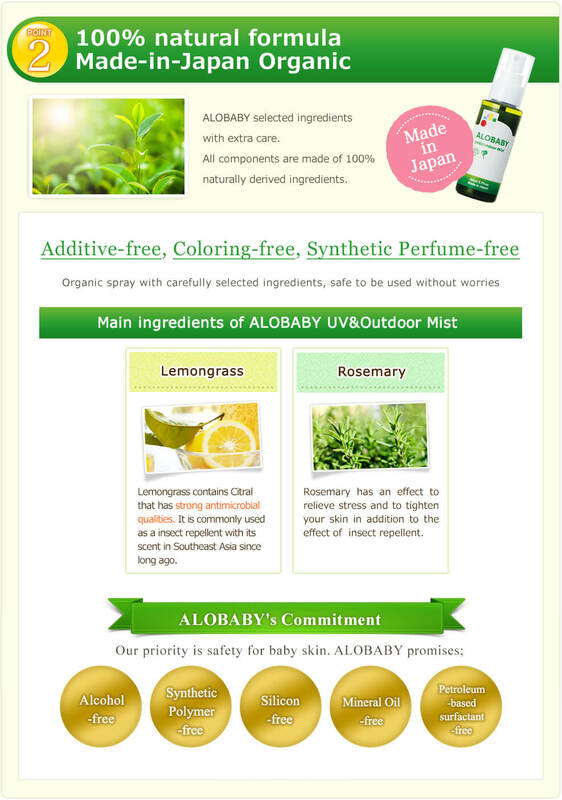 New ALOBABY series, "ALOBABY for mom" was born to provide gentle care to mothers' body. Made-in-Japan, the organic Body Mark Cream moisturizes expecting and new mothers' skin and makes it silky and smooth. This body mark cream can help prevent your skin from getting stretch marks and also help heal your stretch marks by moisturizing it. Moisturizing is the key to prevent stretch marks. Contains Aphanothece Sacrum Powder which moisturizes your skin 10 times in comparison to hyaluronic acid. 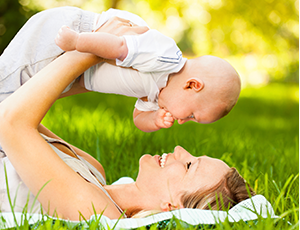 In addition, the plant-based Aquaxyl also keeps expecting and new mothers' skin highly moisturized. This body cream helps prevent skin from having stretch marks by moisturizing the skin of your stomach which gets bigger rapidly. 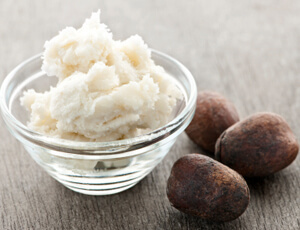 Makes your skin soft and smooth. As your stomach becomes bigger, your skin gets tighter, resulting in feelings of discomfort. 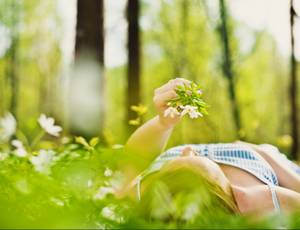 Carefully selected organic plant ingredients prevent your skin from itching, allowing yourself to have smooth and silky skin. 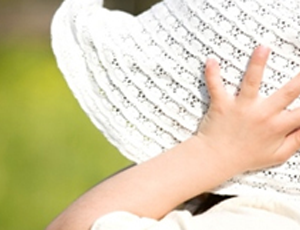 Pregnant mothers have sensitive skin due to hormonal imbalance occurring during pregnancy. Containing 99% of naturally-derived ingredients, this body cream is very gentle on sensitive skin, and can be used on baby's skin too. 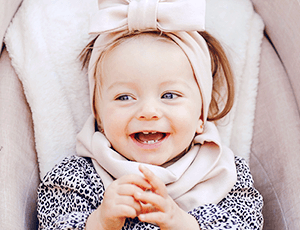 Hence, it is suitable not only for expecting and current mothers, but also for newborn babies. It is easy to apply on your pregnant stomach with the smooth texture. 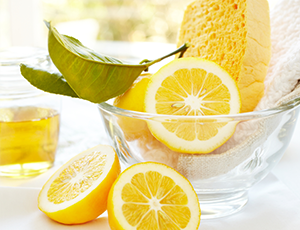 The soothing texture and citrus aroma helps you to relax. 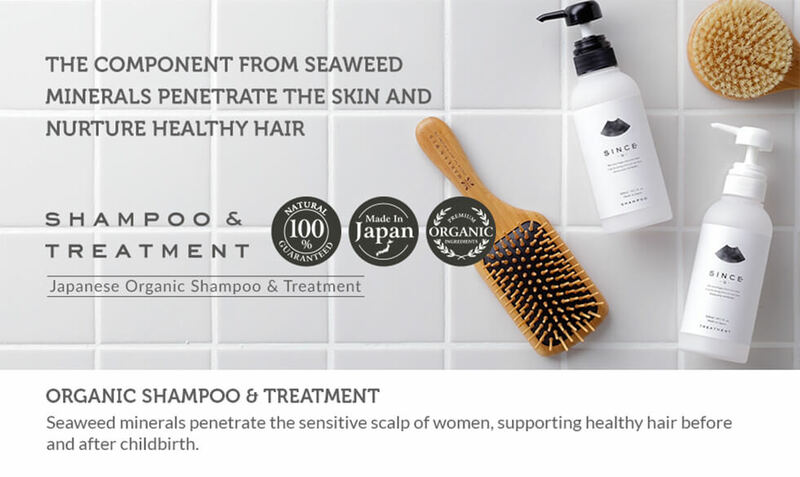 Rare seaweed minerals, Sacran and natural materials condition the scalp and promotes the growth of beautiful and strong hair. 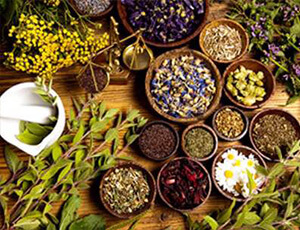 These ingredients permeates thick Asian hair deeply and repairs the thin and damaged hair. 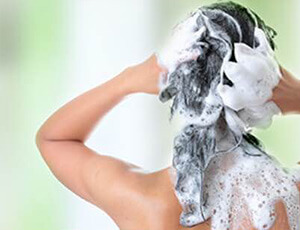 Because it's 100% naturally-derived, SINCE is silicon-free and organic, bubbles well and moisturizes the hair well. 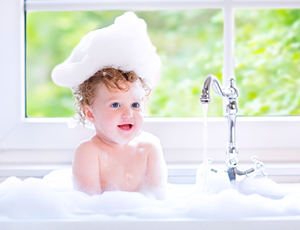 Since it's very gentle on the skin without any additives, it can be used on even newborns with sensitive skin. Hair is different in different regions. 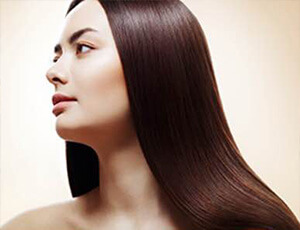 We produce our products to match the Asian hair type based on the actual voice of Asian moms. 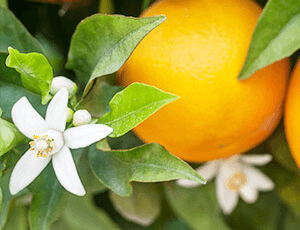 The scent is very mild and helps you relax during bath time.